A new cash transaction charges are applicable if you carry out a cash transaction above certain limits in a month. 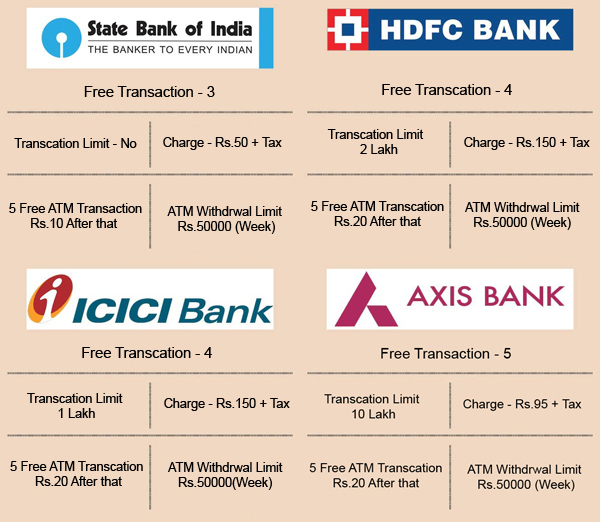 These charges are applicable for both cash deposit and cash withdrawals. So, get ready to pay more money. The new cash transaction charges are applicable only to the customer of HDFC, ICICI, Axis and SBI Bank. These transaction charges are levied in order to curb black money and to boost a cashless economy. 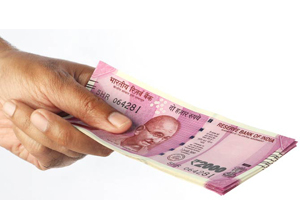 Let’s take a look at Cash Transaction Charges and its effects on common man. Suppose you have exhausted your free withdrawal limit and you want to withdraw Rs.1 lakh in an emergency from the bank. The charges applicable is Rs.5 for every Rs 1000, hence the fee workout will be Rs 500. On the other hand, if you want to withdraw Rs.10000 the calculated fees will be Rs.50. However, you need to pay Rs.150 as minimum charges. Four cash transaction in a month will be free. From fifth transaction onwards, you need to pay Rs 5 per 1000 or Rs.150 plus tax and cess whichever is higher. At your home branch, cash transaction up to 2 Lakh will be free. Cash transaction value up to Rs.25000 per day will be free at Non- Home branches. ATM transaction charges of Rs.20 is applicable above 5 transactions. If you are personally withdrawing from your account, no limit is applicable. You can withdraw maximum Rs.50000 per day for third party at your home branch. In metro area five transactions per month or Rs.10 Lakh, which ever happens sooner will be free. The sixth transaction onwards you need to pay Rs.95 plus tax and cess or Rs 5 per 1000. In semi-urban or rural area ten transaction per month is free, beyond that same charges are applicable. Three Cash transactions in a month is free at SBI. Beyond third transaction you need to pay flat Rs.50 plus tax. Five ATM transaction will be free beyond that you need to pay Rs.10 per transaction. In short common man needs to pay more money in case he wants to withdraw more money in emergency from bank. Above Cash Transaction Charges are applicable for over-the- counter transaction at bank branches only and do not apply to ATM withdrawals. The cash transaction charges are applicable for both cash withdrawal and deposits. Total number of cash transactions are considered – Cumulative of deposit and withdrawals. Value of cash transactions are taken in to account. It is applicable to saving as well as salary accounts. This charges are applicable currently at HDFC, ICICI, Axis and SBI bank only. Cash handling charges applicable at these banks are withdrawn. Do you think that new cash transaction charges will be helpful in reducing cash transaction and black money? Do you think this cash transaction charges are alternative of banking transaction tax as discussed in arathkranti proposal? It is nothing but an open loot by the Banks. First Govt. forces you to have all your transactions through cash less or banking channel mode. Now when you have done so, you are asked to pay for the transactions. If Banks keep on charging for keep deposit and cash withdrawals, then, what for Banks are? Are we not being forced to pay for simple banking transactions. Banks’ primary job is to accept deposit and allow withdrawals. It seems that this Govt is hell bent on fleecing ordinary citizens of this country. First it was PayTm where the receiver or the merchant was required to pay discount of upto 4% on transferring PayTm balance into a person’s bank account. Now there is an imbroglio on MDR. Why MDR should be charged on a debit card. And finally nail on the coffin by charging for cash transactions. This has to come to an end. Sooner than later. Otherwise a revolt has to open in this country to force this Govt to stop any bank/NBFC/financial service provider from charging for such basic services.